At this time of year we are all asked to donate to many different non-profit organizations or charities like the Komen Breast Cancer Foundation, JDRF, the ADA, the Sierra Club, the local food bank, etc. Many of these we are extremely passionate about – my favorite being, Early Alert Canines (EAC). Before donating, I ask you to please consider the impact your donation has on a small organization versus a large, well-established one. For example, a $2000 donation to EAC covers approximately 1% of our entire working budget (and provides 10% of the cost of a dog), where the same donation to one of the larger organizations is an unnoticeable fraction of a percent of operating or research costs. In addition, many smaller non-profits cater to current needs and relief, and rely more upon individual donors than the larger organizations, which have greater access to government and corporate sponsorships and grants. I ask you to take this into consideration when you make your gifts. Just four short years ago, a group of us sat around a friend’s dining room table to share our ideas about creating a non-profit organization to train blood sugar alert dogs for both children and adults with diabetes. These ideas became Early Alert Canines. As of last week, we have now placed 28 dog-teams AND were featured in an article in the San Francisco Examiner! Please read on and help us celebrate. Have you ever been distracted by an intense conversation or outright forgotten something important because of an all-consuming school or work project? Imagine being a type-1 insulin-dependent diabeticwhose life depends upon constantly monitoring your blood sugar level. Being vigilant is a way of life with even a momentary lapse possibly being fatal. Imagine trying to lead a “normal” life and concentrate on anything other than your health. 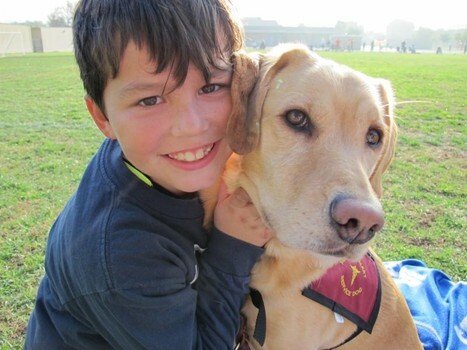 Since 2010, Early Alert Canines has trained diabetic alert dogs to “recognize the biochemical scent that a diabetic’s body emits as the blood glucose begins to drop, thus avoiding acutely dangerous hypoglycemia and long-term diabetes complications.” Imagine what dogs such as these mean to the diabetics paired with them. 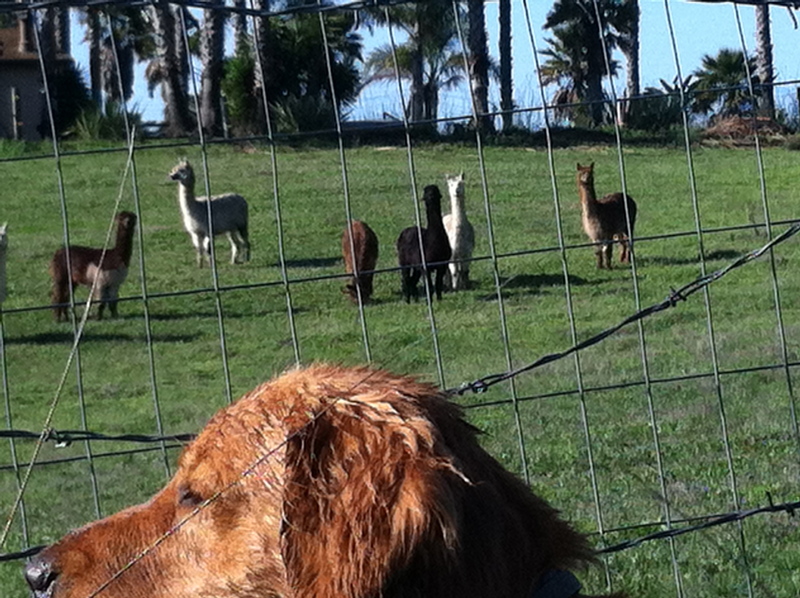 Imagine what dogs such as these could mean to diabetics yet to be paired. As a non-profit organization, Early Alert Canines depends on volunteers, partnerships, and donations, and even shopping. There are many ways to volunteer, from photography to office work, to fostering and actually working with the dogs walking and grooming. Partnerships exist with business and community organizations from Kaiser Permanente to Moran Stanley Global Impact Fund to Capitola Reef and Girl Scout Troop #31935. Donations are always appreciated, and as of October 23rd, Lucy’s “pay it forward” goal of $5000 is halfway to its mark. Lucy’s story is a both moving and insightful personal look at what one dog is doing for two diabetic brothers. And finally, EAC’s online store offers a way to help spread the word about its mission. As we head into this holiday season of giving, consider what you can do. Whether volunteering, partnering, donating, or shopping, Early Alert Canines offers many opportunities to get involved. Dogs are amazing, and EAC helps them be so much more than just pets. 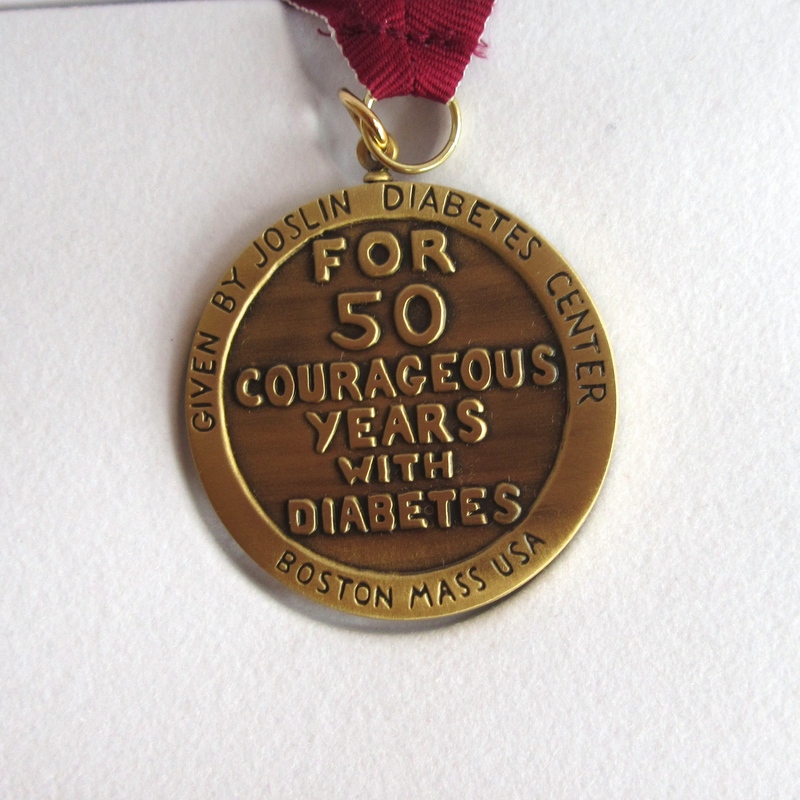 This is the medal that the Joslin Diabetes Center offers to acknowledge those who have lived with diabetes for 50 years. I had never seen one before this one arrived in the mail for me. After years of consternation, internal bickering, and some outside encouragement, I finally decided to apply. * It was incredibly difficult to allow myself to ask for acknowledgement for living with diabetes because I’ve never known any other way other way of being. 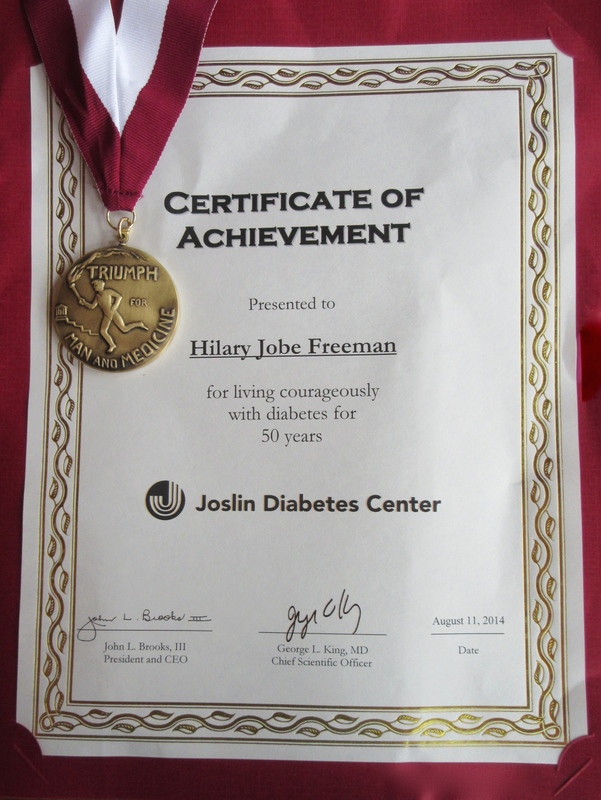 Diabetes is part of who I am, and asking for acknowledgement is not. Yet I decided, “Why Not?” Diabetes is integral to who I am, and an essential piece of my life story. (It is also one that I’ve been asked to give a presentation about at an upcoming conference.) Despite all its challenges, and the dire prognosis given to my family since I was diagnosed so young, I have lived and thrived for almost 57 years with this condition, continually making and changing plans because of the influences diabetes has had on my life. 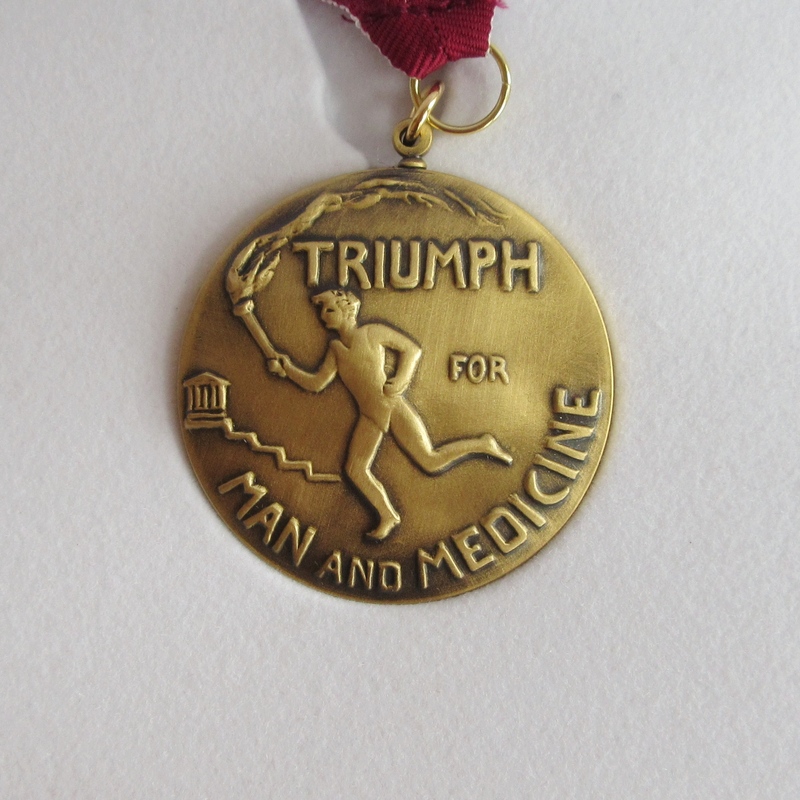 So I accept this medal with great humility and a touch of honor. *However, getting the documentation “required” to prove I’ve been diabetic for over 50 years was an adventure unto itself. None of the hospitals keep records from that far back, my pediatricians are no longer alive, my father and grandparents who could have vouched for me are also deceased, and my mother is no longer sure of when, exactly, I was diagnosed. Fortunately, with the help pf my mom and sister, an old family friend, and my 94 year-old Godmother I was able to sleuth together enough information to be accepted. Thank you to my family, friends, and, of course, my husband and my blood sugar alert dog, Rainie, for all your nurturing and support. 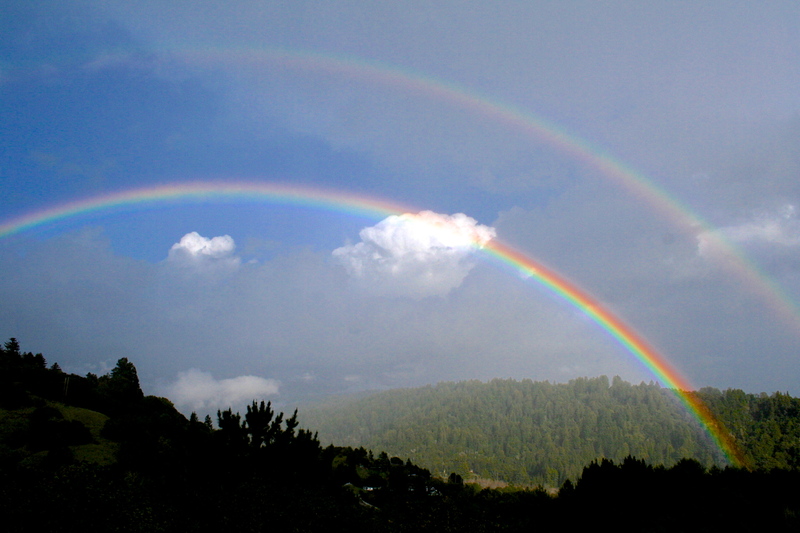 My life has been, and continues to be a truly miraculous adventure. I’ve lived through many challenges, and out-lived the “odds” I was given at diagnosis. I would not be here if it were not for you! This morning, I could see in Rainie’s eyes that she was making a difficult decision. Genetically, she is a retriever, so having something in her mouth can be very important. Yet she is also a trained blood sugar alert dog. This makes alerting me to my rapidly changing blood sugars important, also. 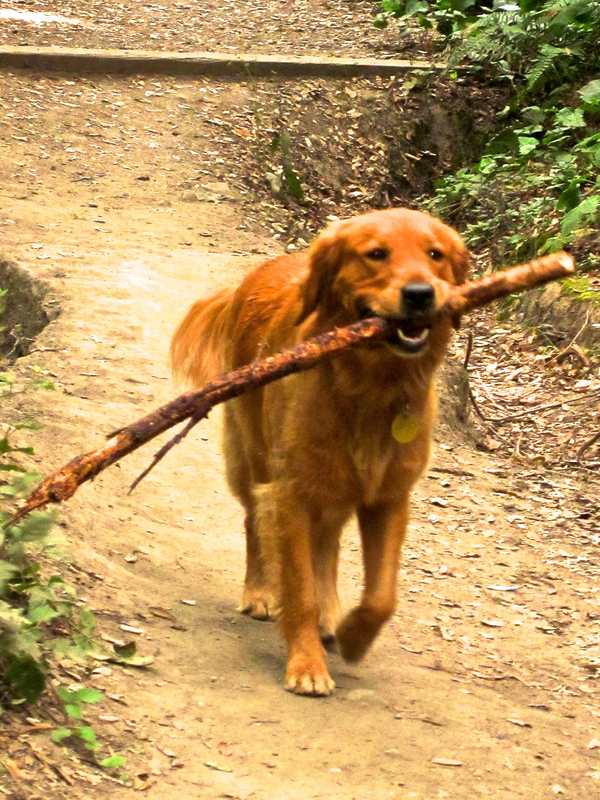 And on our walk today, she found a stick. 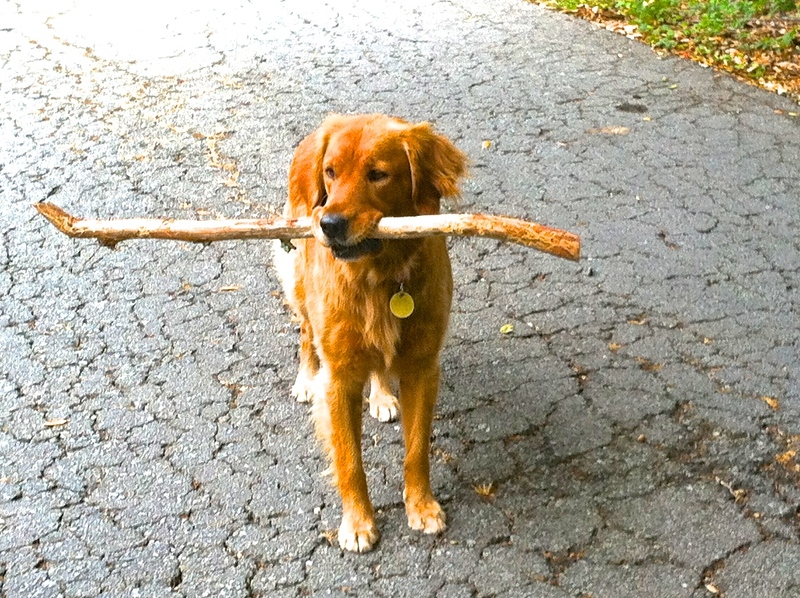 (It is actually unusual for her to carry sticks, despite her being a golden retriever/Lab.) She seemed very proud of this stick – she held her head high as she pranced nest to me with the stick in her mouth. But suddenly she turned to look at me with an inquisitive look in her eye. She repeatedly looked up at me, then at the treat bag I always carry for her, and then towards ground. Suddenly she dropped the stick, nudged me twice, and then picked up her stick again without even waiting for her treat-reward. She made the right decision – my blood sugar was dropping quickly. There is something about the rain that brings out the little kid in me, especially after the rain-parched winter that California has had this year. When I hear the rain on the roof and smell the odor that comes from moist earth, I want to grab my rain jacket, hat and boots and go play outside with Rainie. 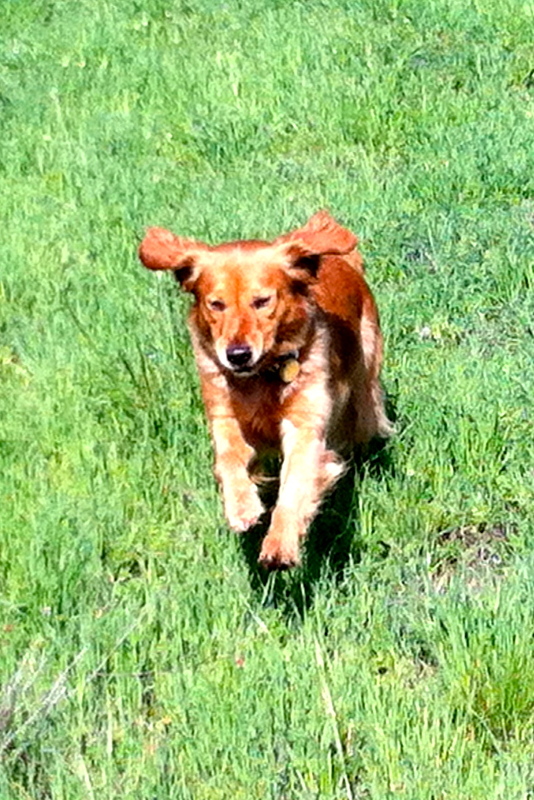 Despite her name, I think Rainie truly prefers to get wet from the bottom-up, the way she does in the ocean while wading into the water; but once she begins to frolic in the tall, wet grass, and romps in the ‘lake’ that forms in the corner of our driveway, her reticence is soon replaced by pure glee. 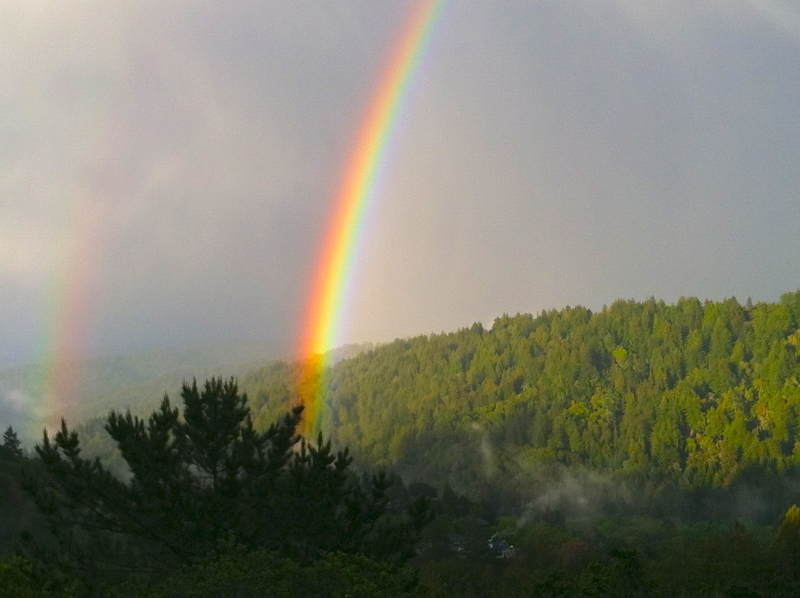 Last night, as I listened to the rain hit our skylights while watching the occasional lightning fill the sky, Eddie Rabbit’s song “I Love A Rainy Night” filled my head. However, I think more songs should be written about the morning after a rainstorm when the sun glistens from every leaf and everything is fresh and clean. Rainie and I set out for an early morning walk. It was so early that despite the sun being up, there was no one else around. I felt like we had the world all to ourselves. Rainie was so excited to leave the house. As her body enthusiastically followed her nose, it looked as if every smell that had ever been before was, somehow, different – I swear, every singe blade of grass was calling for her attention. Soon she was smiling while saturated from the tall, wet grass. What astounded me was the wildlife that emerged. The air was filled with a chorus of birdsongs – there is no question in my mind that the acorn woodpeckers are by far the noisiest with their raucous, raspy chatter. Quail darted all around in their haphazard way. Whole coveys quickly scurried out of the underbrush and noisily disappeared when the sentry male trilled that their domain was being interrupted (by me). 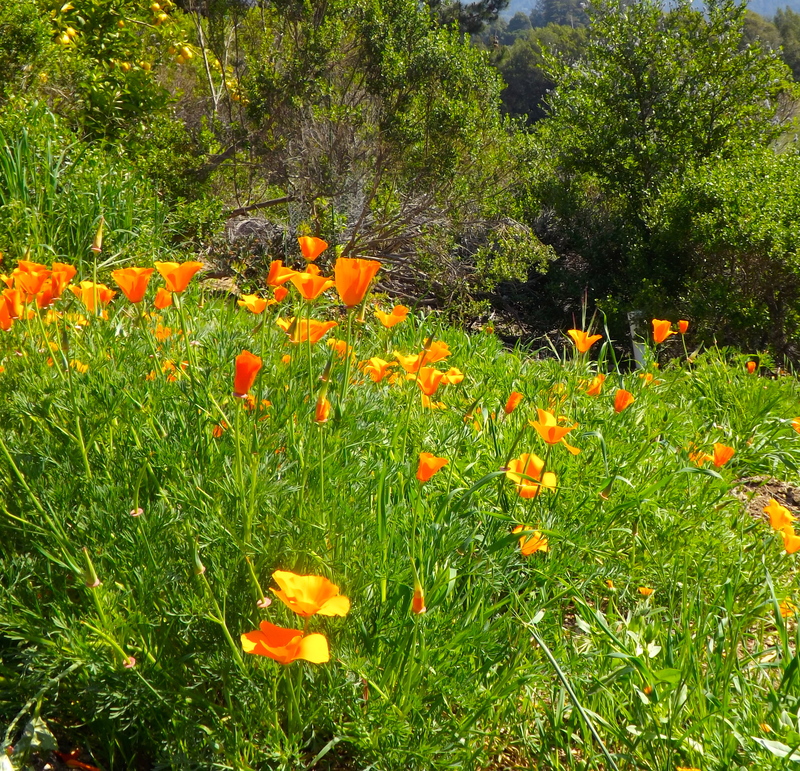 I had a cottontail bunny dash over my foot as I took an unobservant step. And when we got to the big open meadow, a deer and her two fawns were grazing, completely unaware of Rainie’s and my presence. The picture was breathtaking with their grace and solitude. From Rainie’s perspective, I don’t think she could have cared less! Along with everything else that was going on, the gophers were out too. And as much as the bushes needed to be inspected, so did the gopher holes. 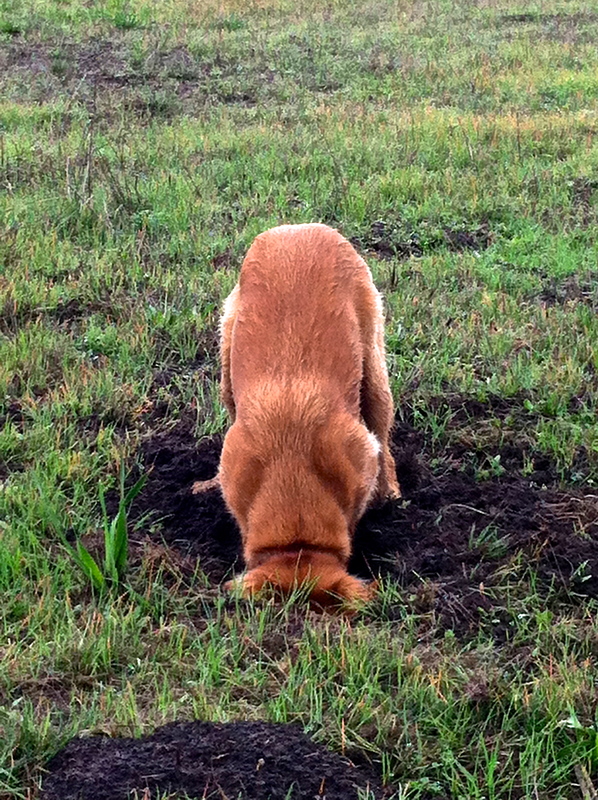 She kept running from mound to mound, sniffing and occasionally taking a moment to dig … until she found the one that required further exploration. She began digging so fast that the dirt flew up behind her. Occasionally she would rise from her should-deep hole to check to see that I was still near, then her hunt would continue. A few moments later when I was not paying attention while watching a couple of hawks circle overhead, I felt a very wet nose nudge my hand. I looked down to find a very happy Rainie looking up at me with a mud caked nose. She was sitting up on her back haunches, alerting me. I was completely unaware that my blood sugar was dropping. As we walked towards the car, glucose in my mouth, I looked over my shoulder just in time to see an owl swoop down and grab a gopher from the area where Rainie had been digging. This happened again today. 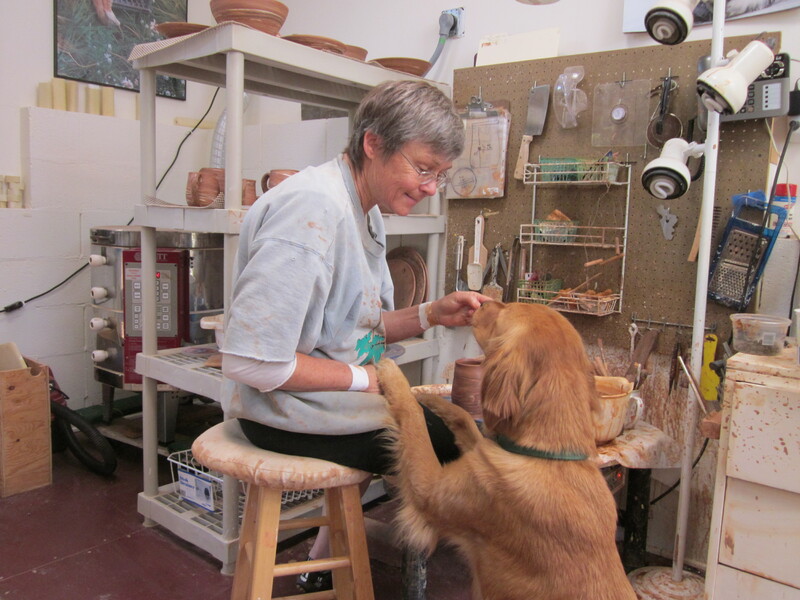 I was up in my ceramics room trying to create feet on the bottoms of some nearly finished bowls when Rainie began alerting. I sensed she might be right because my balance and depth perception seemed a little bit off. Upon doing my blood sugar I discovered that I was slowly dropping, so proceeded to eat a snack, and went back to work. I wanted to push through and get this job done. The dryness of the clay was just right – not too hard and not too soft. But despite my intentions, she kept alerting! I felt fine. I had just eaten and needed to get my ceramics work done! That was until I cut right through the semi-dry bowl with a semi-sharp tool. She was right. I hadn’t sensed that my blood sugar had continued to drop and I wasn’t feeling how unstable I’d become. As I sit here preparing for tomorrow’s lecture on Diabetic Alert Dogs (DADs), I can’t help but marvel at myself and muse about what has caused me to change — I used to be so shy and reserved; and now I am preparing to take the podium, once again, to talk about diabetic alert dogs, Early Alert Canine (EAC), and my life with my diabetic alert dog, Rainie. These changes must be due to passion! I am passionate about telling the world about diabetic alert dogs and the safety and sense of companionship they bring. And Early Alert Canines! There is so much to tell about this organization also. EAC provides these life saving and life changing dogs to diabetic children as well as teens and adults. Affecting the lives of families with diabetic children is what excites me the most. This is why I became involved with EAC – because of their intention of making DADs available to families with young diabetics, and because of my memories of growing up with diabetes. I remember when I was too young, or my blood sugar too low, for me to say, “I need help!” During the 56 years I’ve been diabetic I’ve experienced all sorts of changes in technology, beliefs, and protocols; but I can easily admit that nothing has changed my life as positive a way as Rainie has. I want to share this with the world. …So tomorrow, I ascend the podium.